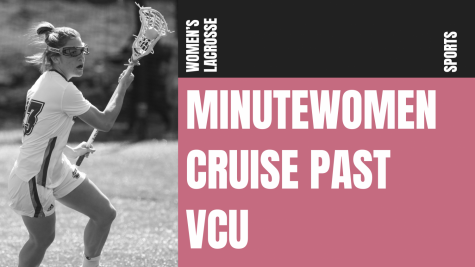 Trailing 8-7, entering the final 15 minutes of regulation, the No. 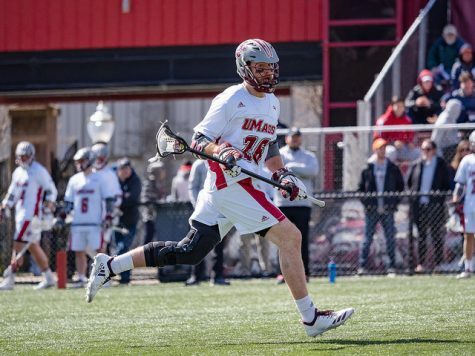 16 Massachusetts men’s lacrosse team was poised for a fourth quarter battle with Drexel on Saturday. However, the Minutemen weren’t prepared for the attack the Dragons were about to bring them. 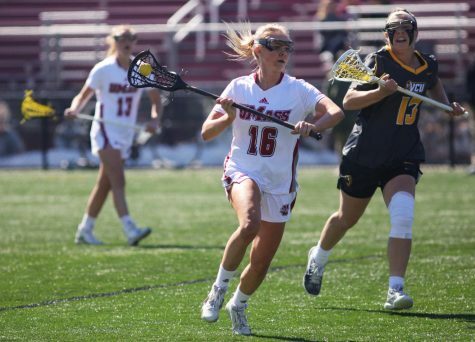 UMass allowed five goals in the final quarter of play to fall to Drexel 13-9. 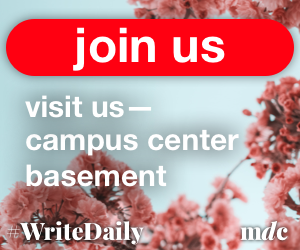 It was the Minutemen’s second consecutive loss in conference play. Drexel (8-4, 3-1 Colonial Athletic Association) opened up the fourth quarter with a trio of goals within the first five minutes from Ryan Belka, Jules Raucci and Nick Trizano. Trizano led all scorers with three goals and an assist. Belka and Raucci each chipped in with a pair of goals for Drexel. Jared Boudreau and Ben McIntosh also scored two apiece. 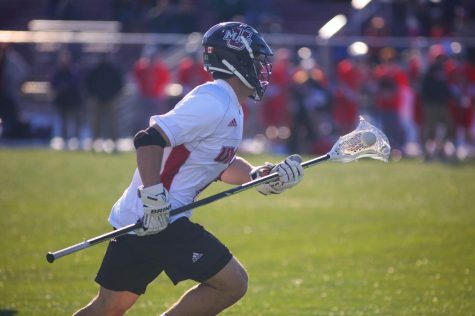 Trailing 8-5 in the final minute of the first half, Mooney received a pass from Nick Mariano with 28 seconds left that cut the Dragons lead to just two with an acrobatic finish fromjust outside the cage. It was Mooney who once again who cut into the Drexel lead just 40 seconds into the third quarter, this time scoring on an assist from Rob Lynott. Mooney led all scorers with five points coming off of three goals and five assists. 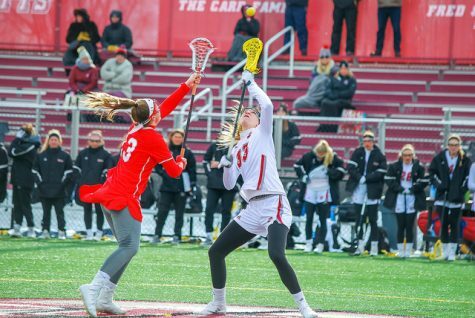 Mooney’s goal was the only one scored between either team in the third quarter. 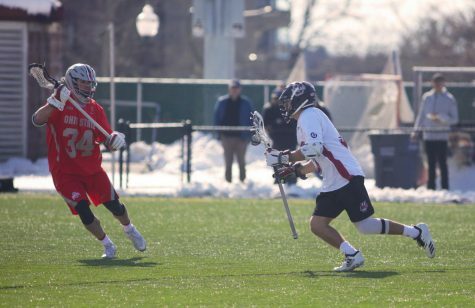 Freshman attackman Grant Consoletti scored a career high four points on two goals and two assists. 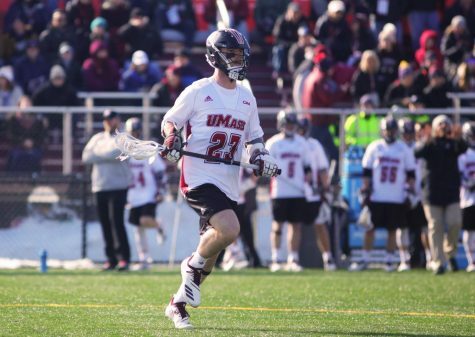 Mariano, Jeff George, Grant Whiteway and Sean Cleary each scored one goal in the loss. 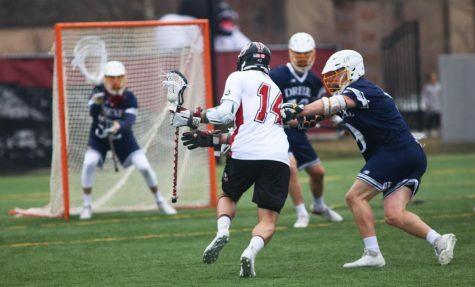 Despite outshooting Drexel and causing 18 turnovers, Cannella mentioned that losing the groundball war 31-25 was one of the aspects that hurt the Minutemen on Saturday. 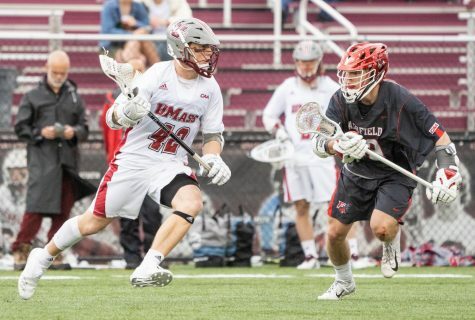 Although UMass (7-4, 1-2 CAA) scored six goals in the first half, both Mooney and Cannella preached that for the Minutemen to be successful in their upcoming games they have to get off to better starts. “We scored a lot of goals early, we defended well in the end but we couldn’t score. 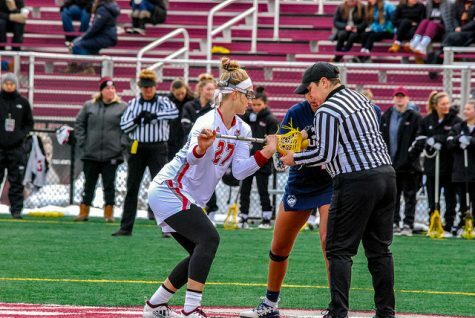 You have to put both sides together throughout the entire game to get a win,” Cannella said. The Minutemen return to action next Saturday on Senior Night in the final home game of the season.